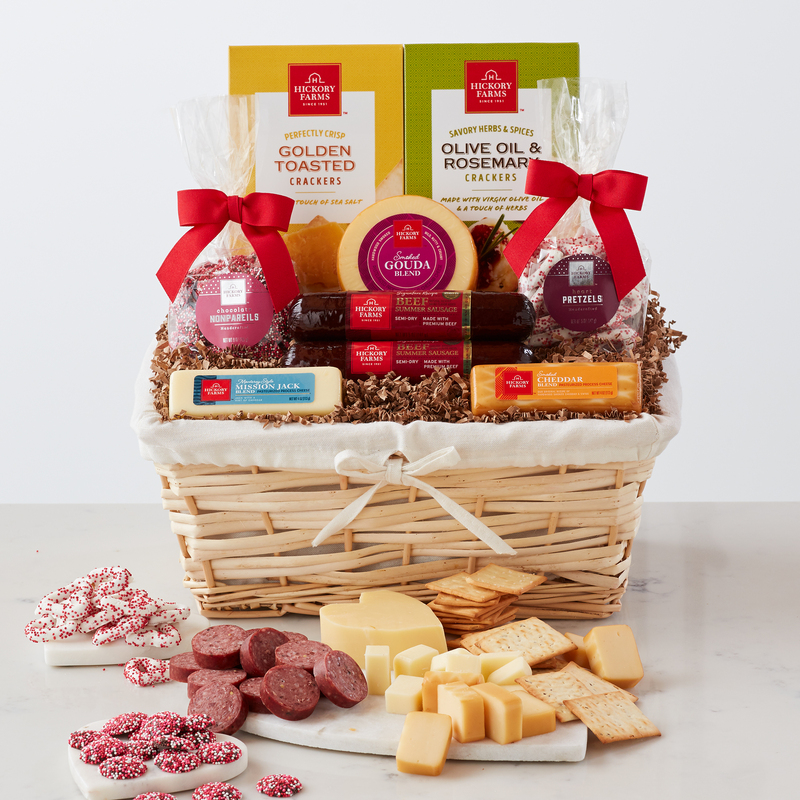 This gift basket is filled to the brim with our most-loved sweet treats and savory snacks. Our award-winning Signature Beef Summer Sausage, three creamy cheeses, plus two kinds of crispy crackers let them create their perfect bite. Heart Pretzels and Chocolate Nonpareils give this gift a touch of sweetness. This basket is perfect for sharing with someone special!